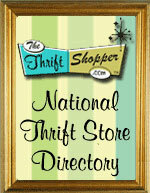 Join our newsletter for deals and specials from ThriftStoreWebsites.Com. From time to time we will send out a newsletter and pack it full of tips, tricks, and possibly even money off coupons. Only exclusive members of the newsletter will recieve these special offers, so make sure you take the time to sign up.